It’s been an exciting couple of days for fans of the web-slinger. In addition to some great Spider-Man: Homecoming Empire magazine covers, we’ve also seen brand new stills from the reboot and even a first look at Orange is the New Black star Michael Chernus as the villainous Tinkerer. Now, to keep the momentum going, some new promo art has found its way online and while it’s not particularly revealing, it’s sure to get comic book fans even more excited about the flick ahead of its release this July. Early word is that Spider-Man: Homecoming will be a hit for Marvel Studios and Sony Pictures, with box office analysts putting it at $135 million on opening weekend. That’d definitely be impressive, but as 2017’s fourth superhero film (and with a release date just over a month after Wonder Woman), the reboot will need to be truly special in order to grab the attention of moviegoers, especially as July is a pretty packed month. 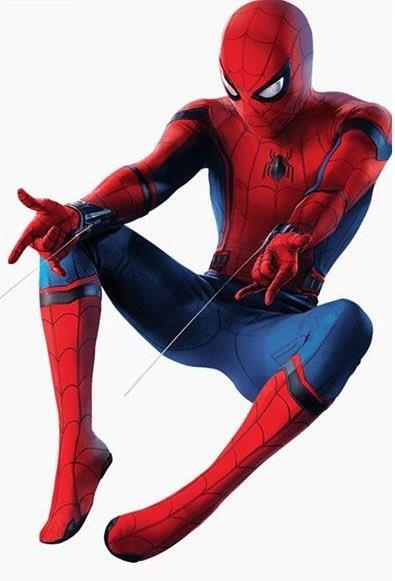 If nothing else, the simple fact that Spider-Man: Homecoming is going to be set in the Marvel Cinematic Universe should definitely help, especially after his introduction in Captain America: Civil War. Plus, throw in the fact that Robert Downey Jr.’s Iron Man will show up to help the iconic hero out, and you have all the makings of a surefire success. At least, we hope that’s the case. We’ll find out more in the next month or so as the first wave of reactions start to surface online, but until then, check out the new Spider-Man: Homecoming promo below and keep an eye out for the film when it swings into theatres on July 7th!